Facing the 19-th century historic Town Hall, Affittcamere Le Tre Stelle offers spacious rooms with free Wi-Fi. 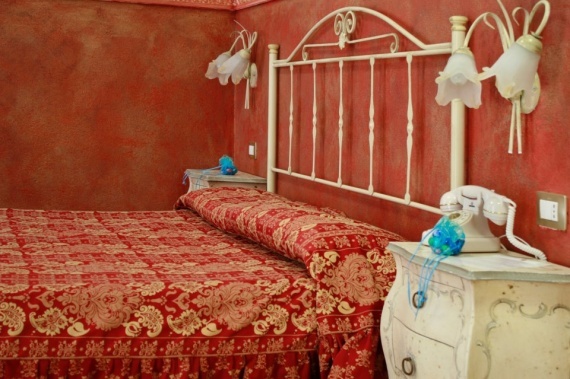 The guest house is located in Cagliari's historic centre on Via Crispi, one of the main streets of the Stampace area. The guest house Le Tre Stelle was born in 2007 in the quarter of Stampace but only since 2009 began working with the current owner, after several renovations and improvements are made that this structure might enter the tourism market Cagliari with great results. Located in Via Crispi, one of the main streets of the Stampace district, Le Tre Stelle is located in the historic center of Cagliari, in the front of nineteenth-century town hall, which offers spacious rooms with free Wi-Fi. The guest house's accommodations are on the 1st and 3rd floor in a building with no lift and they have TV, air conditioning, private bathroom and telephone with free national calls. Every day from 08:00 to 10:00 you can enjoy a simple breakfast of sweet products. The guest house is located in a historic building reconstructed after the Second World War, just 300 metres away from the harbor and the city railway station. Elmas airport can be easily reached by bus or taxi. The location is great because it is situated in the historical center of Cagliari, fully served by all public services (bus, taxi, train).